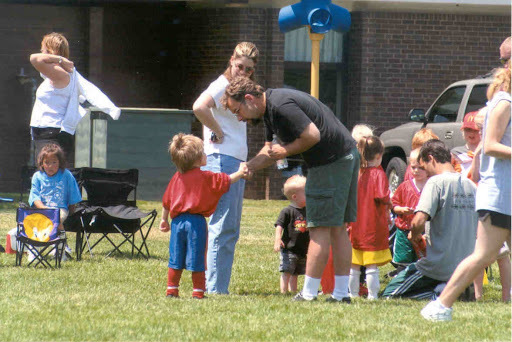 So my favorite 4-year-old just finished his first season of soccer. It had its highs and lows but overall we were very proud of him. I would be lying if I didn’t admit that I wanted him to be “that kid”. “That kid” that parents were exclaiming, “Test that kid for steroids!” Or even, “Check that kid’s birth certificate.” Is it too much to ask for something like, “Is that David Beckham’s kid?” Alas, we got none of that. Though I do like to think he gave the other parents a good laugh when he would sporadically sit down to help the landscapers pull weeds. He was often found chatting with the ladies or helping an unfortunate soul who fell down. Though my child is not going to win any “best hustle” for his season perhaps he’ll win “Mr. Congeniality”. 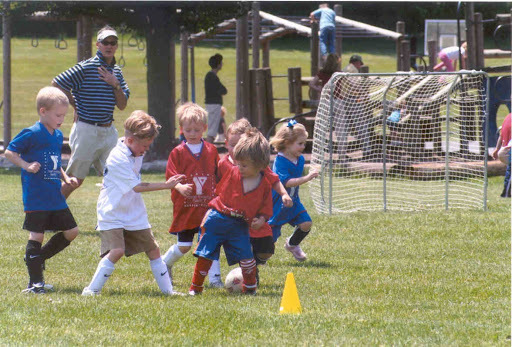 With that said, I was happy to find even if my son does not have my soccer skills YET, I was still one proud mama. As you’ll see by the pictures, he is WAY too cute not to love regardless. The pictures go from a) him actually trying to b) what he was seen doing often: squatting and forcing the coach to encourage him to chase after the ball. Or c) showing his true character and shaking his coach’s hand for a season well done.